Fashawn was born in Fresno, California, where he had a rough childhood due to his father being incarcerated for a long period of time, while his single mother also dealt with a drug addiction. At eight years of age, Fashawn and his sister were both placed in a group home for sometime, before their Uncle Roy decided to take them into his custody as a father figure. Fashawn recalls writing his first rhyme at eight years old, and became fully engrossed in writing by the year 2000. In 2006, Fashawn released his first mixtape Grizzly City, catching the attention of fellow Fresno emcee Planet Asia who invited him to go on the road with him. 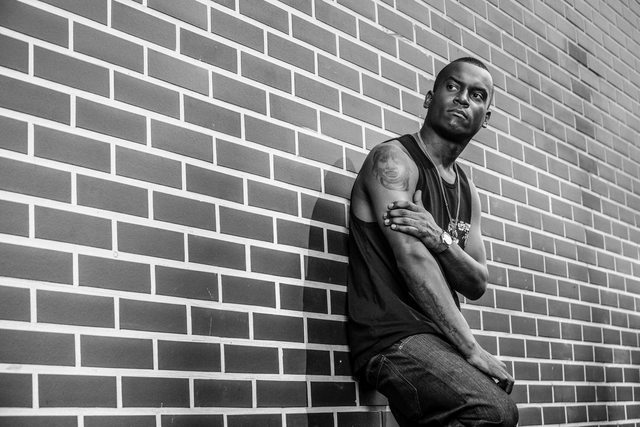 Fashawn established his presence throughout the Central California hip-hop scene, releasing multiple mixtapes including The Phenom, Grizzly City 2, The Phenom 2, Higher Learning, and One Shot One Kill. Fashawn first gained major attention in 2009 for the release of his debut album Boy Meets World. This early success led him to be inaugurated into the 2010 XXL Freshmen cover, standing alongside Wiz Khalifa, J.Cole, Big Sean and more. His buzz has gotten increasingly stronger, from sharing the stage with notable stars such as Kendrick Lamar, Talib Kweli, Wiz Khalifa to performing at jam-packed shows like Rock the Bells and Paid Dues. He also performed the entrance theme song for boxing welterweight champion Timothy Bradley when he fought his rematch against Manny Pacquiao on Pay Per View last April. Fashawn recently celebrated the release of his long awaited album, The Ecology. The album, executively produced by Nas, has been received a positive critical response from outlets like XXL and Hip Hop DX. Fashawn is currently on tour promoting the album and giving back to fans who have made The Ecology’s release a success.